Kaweah Fly Fishers annual Owens River trip is a great fishing outing for both beginners and experienced fly fishers. This river always provides us with great fishing and a good time. 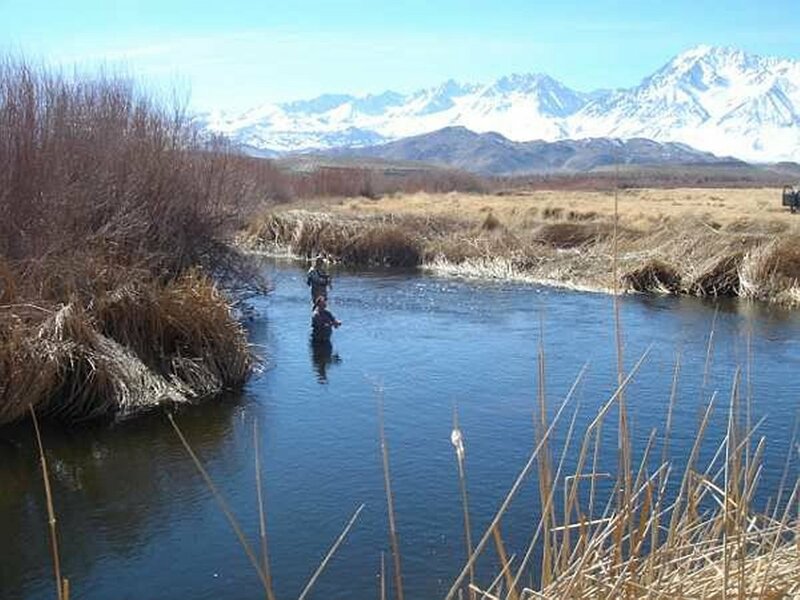 This is an easy river to fish, whether nymph or dry fly fishing. Access is readily available, and there are plenty of fish in the river. The weather this time of year is usually clear and pleasant, but at times it can be cold in the mornings. A few times, we have been rained and snowed on, so you have to be prepared for everything. Be sure to check the weather forecast before you pack. Nymph fishing seems to yield the best results, and works any time of the day. Tie on FB Pheasant Tails, Copper Johns, Hares Ear, olive zebras, and WD-40’s in the smaller sizes. Midges always work well. Don’t despair if you’re a die-hard dry fly fan. When the sun warms the water, the dry-fly fishing can be great! The dry fly fishing can be just as good as nymphs when the evening hatch happens just before sunset. There are BWO hatches each day as around lunchtime. Sizes #16—20 are good even in the cold and overcast days. For dry fly, try a Parachute or a palmered Adams in gray or olive size #16 or 20, BWO #20, Baetis Dun #18-20, or Elk Hair Caddis. Emerger caddis will work too. If you’re interested in reserving, please let Rick Hartley know. His number is on the informational email you received. If you did not receive an informational email about this event and are a member of Kaweah Fly Fishers, please let Margie know ( beadchaser@gmail.com ) and she’ll make sure you get on the email blast list.